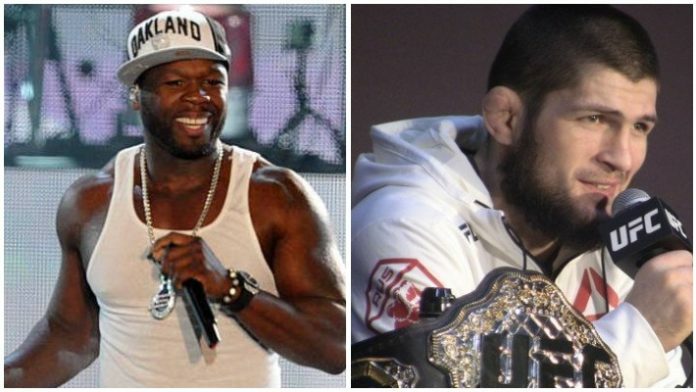 Rapper and businessman 50 Cent thinks he can lure Khabib Nurmagomedov from the Ultimate Fighting Championship (UFC) to Bellator. Khabib Nurmagomedov and the UFC are at odds. Nurmagomedov’s teammate Zubaira Tukhugov was pulled from his UFC Moncton bout with Artem Lobov for his role in the post-UFC 229 brawl. UFC president Dana White said any UFC fighter who attacked Conor McGregor inside the Octagon will be released. Nurmagomedov has threatened to leave the promotion if Tukhugov is cut. Is 50 Cent Window Shopping? Of course the issue becomes whether or not the UFC would even entertain the thought of someone buying out a fighter’s contract. Nurmagomedov is a perfect 27-0 and is considered to the best lightweight on the planet and one of the best fighters period. There is also too much money on the table for a potential rematch between Nurmagomedov and McGregor. Many believe that “The Eagle” isn’t bluffing when he claims he’ll leave the UFC if things don’t go his teammate’s way. Nurmagomedov has shown loyalty to his team and hasn’t made a fuss about his $2 million check being withheld by the Nevada State Athletic Commission. Time will tell if 50 Cent is “lookin at sh*t ya can’t buy,” or if a deal can be made to benefit the UFC and Bellator. Do you think there’s any chance Khabib Nurmagomedov ends up in Bellator?